Warning Signs of Cast Iron Pipe Failure | Allana Buick & Bers, Inc.
Is Your Property 35 years or older? Look – Conduct regular visual inspections of the property. Cast iron piping can be a difficult system to inspect because the pipes are generally hidden above ceilings and behind walls. 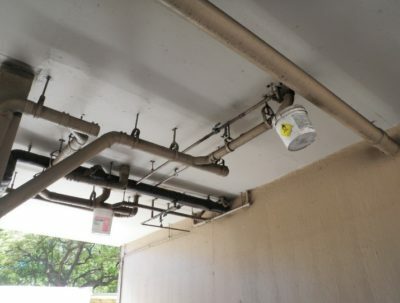 The pipes are exposed in most parking structures. 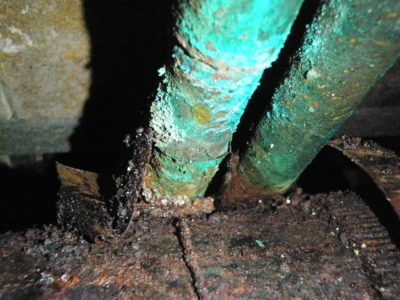 Look for water or seepage on the face of the pipes and at joints. Look for pinhole weeps or even cracks in the piping. Listen – Gurgling plumbing fixtures on lower floors can be an indicator that the vent system connected to the waste piping is clogged. 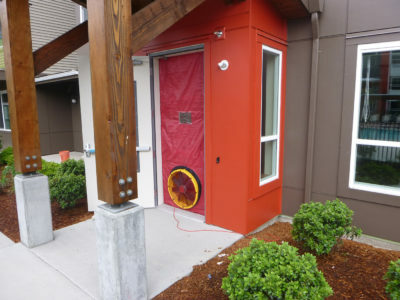 Sniff – The smell of sewer gas within the building is an indicator that the cast iron system has a break; releasing gases that should be vented to the outdoors. Escalating frequency of repairs – If you are calling for repairs with greater frequency, this is a red flag that there is a larger problem. Increasing insurance premium – If your Insurance carrier increases your premium due to previous cast iron failures, this is another warning sign that you are in need of major repairs. No warranty – Finally, if you are not offered a warranty on replacement parts or repairs, this is a red flag. The repairs you have received are a temporary “patch”. Plumbing systems are designed to allow the proper drainage of water out of a building to the county and city water treatment systems. There are two types of water draining systems in most buildings – storm water and wastewater. Wastewater systems contain sewer gases and storm water systems do not. A wastewater system is designed to vent sewer gases to the outdoors through a pipe, which passes through the roof. This same pipe also allows air to enter the system when water is draining. Both storm and waste piping systems operate like a drinking straw. If you place your thumb over the drinking straw when water is in the straw, the water will not leave the straw. Air must flow in, before water can drain out. 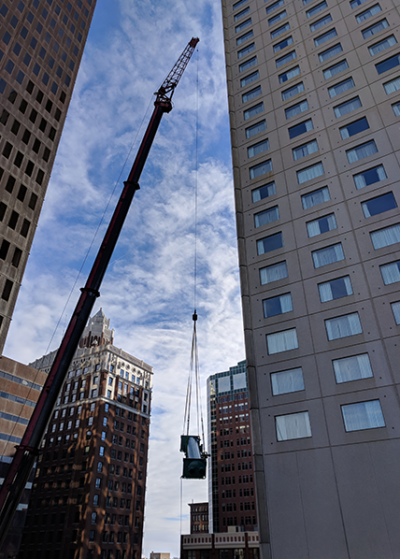 The weight of the wastewater leaving the building, will find air even if it has to pull air through plumbing fixture traps, causing a gurgling noise. When a plumbing fixture drains, the wastewater first passes through the trap. The trap is a “U” – shape pipe that holds water sufficient to prevent sewer gas from entering the building. At the outlet of the trap is a tee in the pipe, which points up and down. Wastewater flows down and out of the building by gravity. Air is pulled in through the pipe connected to the up side of the tee at the trap. A storm drain system does not contain a trap and cannot to be connected to any system, which does contain a trap. This is how your plumbing system works in a very basic and broad sense. Should you experience any of the warning signs first discussed above, your drain system is failing to do its job. Your first step to understanding drain failure issues should be contacting a local mechanical consultant to evaluate the global condition of the piping. Consultants design a systematic approach to finding a fact-supported conclusion. Contractors make repairs, but should not be relied upon to give an expert opinion, which can result in thousands to millions of dollars in repairs. A proper assessment of the cast iron pipe condition will require looking at sections of pipe. Some sections of cast iron pipe will need to be removed to assess the remaining life. Industry standard requires ten percent of the units participate in selective removal of cast iron pipe samples. In some assessments, the lack of observable failure does not support a global condition conclusion. It is then necessary to send sections of cast iron to a mainland lab for analysis. No lab in Hawaii has the equipment to perform microscopic analysis of cast iron piping. The lab will then report the remaining life of the cast iron tested to the consultant. Your consultant will then use their observations, combined with the lab analysis, to make a recommendation to the owner. Allana Buick & Bers, Inc. (ABBAE) was retained to perform a limited assessment of the waste and vent of 2033 Nu’uanu, which is a reinforced concrete structure reportedly constructed in 1972. The building is a 90,000 square feet, 27-story, 72-unit multi-family residential tower. 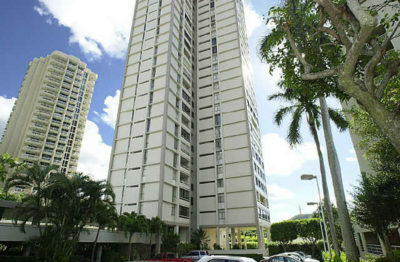 The apartment tower sits over the parking garage floors and a ground floor recreation area. ABBAE conducted a cast iron pipe assessment over an eight-week period. Sections of cast iron waste, vent, and storm drainpipe, as well as, sections of copper domestic water supply pipe were removed. In order to perform the assessment, unit owners volunteered to allow us to cut into the walls to extract small sections of the hiding the plumbing. Prior to cutting the wall it was determined that asbestos fibers were present in the drywall joint compound, which is not unusual in Hawaii buildings constructed pre-1980’s. 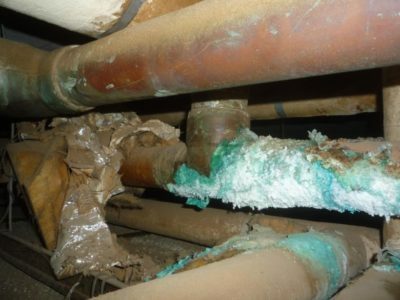 The extracted cast iron pipe sections displayed failed couplings, hairline cracks which penetrated the wall of the waste pipe, a 2” hole in the wall of a vent pipe (sewer gas odor), and holes in the threads of galvanized drain pipes serving plumbing fixtures. 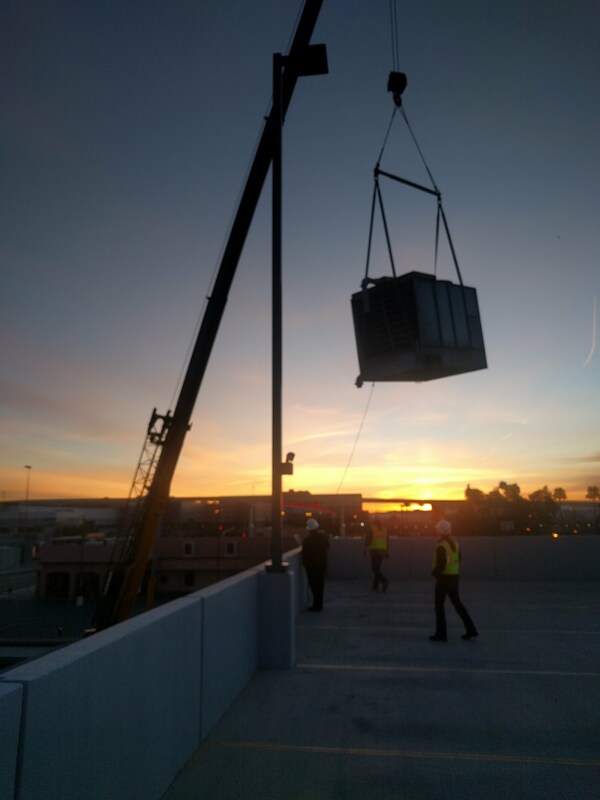 Repairs included the replacement of the cast iron drain, waste and vent systems, cast iron roof drain system, asbestos abatement associated with wall cutting, application of code required fire stopping, and replacement of toilets with locally mandated water conservation toilets. The AOAO also benefited from an ongoing list of improvements while the walls were open, which would not have been accomplished under a repair as need plan. 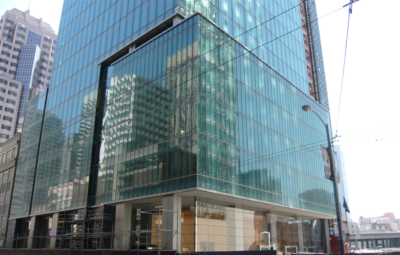 ABBAE prepared repair documents as the mechanical engineer of record suitable for permitting and bidding purposes and managed the competitive bidding process. ABBAE’s construction management services during the construction phase included managing the intrusive nature of the project and complex scheduling with the contractor and residents who remained in their units during the piping repairs.